If there were any doubts that President Peter Mutharika is driving Malawi into oblivion, those doubts come to rest today with the release of the Global Competitiveness Report which has seen the country miss out on Africa’s list of 10 highly competitive countries. At 135, Malawi is just 5 places from the bottom of the least competitive destinations globally. The country has fallen 2 places from 132 during the 12 month that Peter Mutharika has been president, mandated to inspire the country’s economic growth among other development features. Mauritius, ranked 46 in the world, leads Africa’s regional competitiveness ranking seconded by South Africa which sits at 49 globally. Switzeland maintains its position on number one in the global rank, whereas Malawi’s top donors, US and Britain are ranked 3rd and 10th respectively, both falling with one position. The Global Competitiveness Report 2015-2016 assesses the competitiveness landscape of 140 economies, providing insight into the drivers of their productivity and prosperity. The Report series remains the most comprehensive assessment of national competitiveness worldwide. The index comes on the heel of the World Bank’s Development report that indexed Malawi as the world’s poorest. 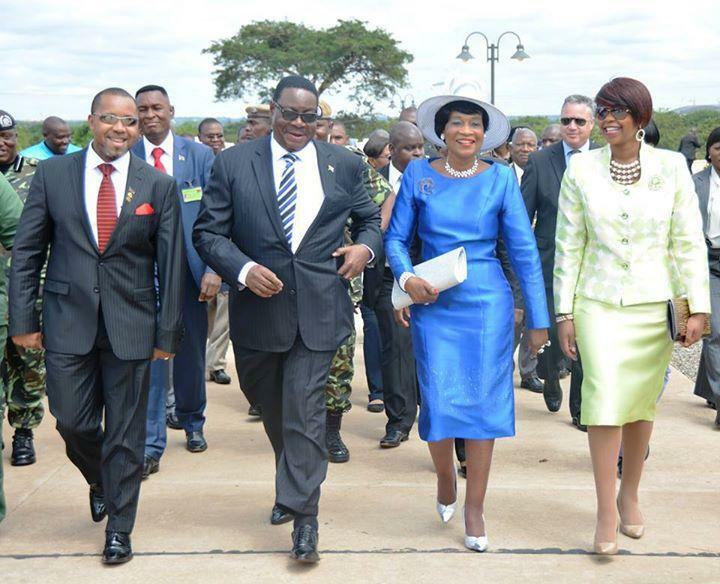 Mutharika who is in the US attending the United Nations General Assembly (UNGA) has been lambasted for not showing signs that he cares about the country’s economic crisis. Instead of employing measures to salvage the economy from further recession, Mutharika took a 120-member-delegate to the UNGA. The bloated delegates, largely comprising of Mutharika’s bootlickers, have reportedly blown over K1 billion of public funds. I will begin from where my brother Bingu stopped!! I like his transparency all we’re aware how much money has gone rather just hide the actual number of people ! A doomed politician lyk APM thinks of the next election just to enrich himself where as the political statesman thought of the next genelation. Mpando wa u president umawotcha and its not easy guys..ena amangosusa koma even nothing they knw about how to a country lyke malawi..go go mr president we are wit u? Panya pake galu mxx! ndatchula dzina? ayi? sharp. or munyoze APM is Malawi’s President 2019 tizavotanso yemweyo basi pali winanso? ndani angati fwi!!! ine ndikangokuyabg’anani mumkamusankha muja.alibe mphatso ya usogoleri. Th country is toothless as its leada . why i was born in malawi? Inu sim’mamva. Posachedwapa mwampasanso ma khansala. u guys voted for this wonderful man and now u ar crying. really? i am from Thyolo but i kud not give him ma vote coz i knew he wont make a gud president. so stop crying these problems ar ur own making. I for one neva voted 4 him,my VOTE went to the one who won zoona and tht was JB.nt zammdala olila uja mpaka mamina bwekabweka jst kusangalasa dpp.mukhaulila limozi. Vote ya chikuwawe. Musova next tym mudzakhale ndi mzeru mama inu azanga aku south. oooh oky! but what position was it before APM come to power? Courts is to blame,Zodiac,Malawi 24,and all the Dull minded Malawian voted for him. Ndingamupemphe lasopo nditagwada nanga iwe? Does the highest competitive means the best @admin? The highest competitive is not always the best(my opinion). Mr Bizwik, Malawians dint vote for this guy but money voted for him. Ndiye tikanavotabe mukufuna aziyenda ndi anthu wamba cholinga ndege yake ipangidwe hijack ndiye mukunama madolo atakhala bambo wanu ndipulezdent mungalole munthu amakhala paudani maka inu otsutsa boma! Nawenso ndale wazidziwa liti ufuna utilowe m’chala? Implementation is Malawi greatest weakeness. Kodi mudayamba mwamvapo za akatakwe poyendetsa dziko motsajejema, mwachikondi ndinso moganizira anthu amdzikomo? Werangani Daniele 2:44. Panthawi yokhayi mpomwe tidzaone kusintha, osati lero lino chifukwa munthu waperewera pamaso pa Mulungu. Anthu opanda mano sangakwanitse kulamulira malawi thats y zkuvuta. U said ten most competitive countries? From the very first day God created earth, Malawi has never ever bn in that category. Hw u dare putting the blame on his shoulder? But none of the previous presidents achieved this. Which benchmarks are u using to measure his performance on the achievement of this? none of them achieved@joseph but things were @least beta,,but dis damn devil is driving malawi to hell. If u were to take back the time would u vote for him? I will never give up till 2019, and I will vote again (Dpp) I really love my president. No matter how it can be, he is my president. Kkkk this bravery and loyalty. why r u calling me mfiti? whts wrong wth my comment?